A new report by the BBC has found that cultural differences in how cancer is perceived may have a significant effect on UK women and their experiences of cancer treatment. The Victoria Derbyshire programme interviewed medical experts, cancer support workers and women with cancer themselves about the different attitudes to cancer in South Asian communities, and found that stigma was a huge factor in women’s decisions. Experts on the programme advised that stigma surrounding cancer in certain communities may be linked to women seeking medical advice later, avoiding medical advice altogether, and delaying or refusing treatment for cancer. Interviewee Pravina Patel described keeping her breast cancer diagnosis a secret, as her strict family considered discussions of cancer shameful. “I was going through chemo sessions on my own… I had some very dark days,” she said. 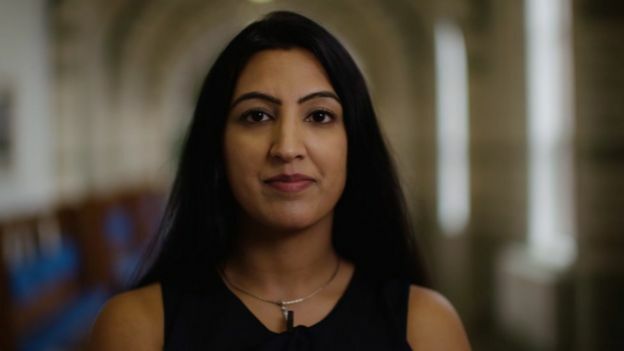 Other cultural beliefs surrounding women’s bodies were also mentioned as reasons for avoiding screenings – for example, Ms Patel suggested that some women might be reluctant to go for a smear test because they might be considered “no longer pure”. Other women interviewed also described the stigma surrounding cancer as affecting their marriage, or even how their children would be perceived in the community. Pooja Saini, the lead researcher at a research arm of the NHS that investigates health inequalities, said she had been “really surprised” by her own review of the issue. Ms Saini also mentioned the potential of other members of a woman’s community to influence her decisions regarding cancer treatment, including men and elders in the family and wider community. “If they didn’t think women should go for screening, then they didn’t go,” she said. Previous NHS research has found a significantly reduced survival rate for breast cancer in Asian women, and national statistics on screening also show that women from ethnic minority backgrounds are less likely to attend screenings than their white counterparts. The findings of the Victoria Derbyshire programme suggest that cultural differences and stigma may play a large role in this discrepancy. Ms Saini hopes that publishing her research will lead to more data being collected on screening and ethnicity in the UK. With more data, the NHS and other services should be able to provide better individualised support to people from different cultural backgrounds. Annie Mackie, director of Public Health England, plans to implement Ms Saini’s suggestions. If you or a loved one has been diagnosed with cancer, Live Better With has 1000s of products recommended by the cancer community to help improve the quality of day-to-day life. Plus we have free cancer guides, tips and a great online community where you can find information and support.